Welcome to A Wandaful Thing and my 2nd Linkup Party of 2018. Thanks to all who have linked up in the past. Hey, if you’re new here, welcome! I appreciate each and every one of you who continue to come back and hang out with me. I am so impressed by all your creativity and talent that I want to share it with the world. I’m always interested to see what vintage goodies, finds and projects you all have to share but today I want to see what you have created with your vintage images. I hope you like the cards I am going to share but first here is a card that my friend and fellow blogger made – she blogs over at Youcanalwaysstartnow. 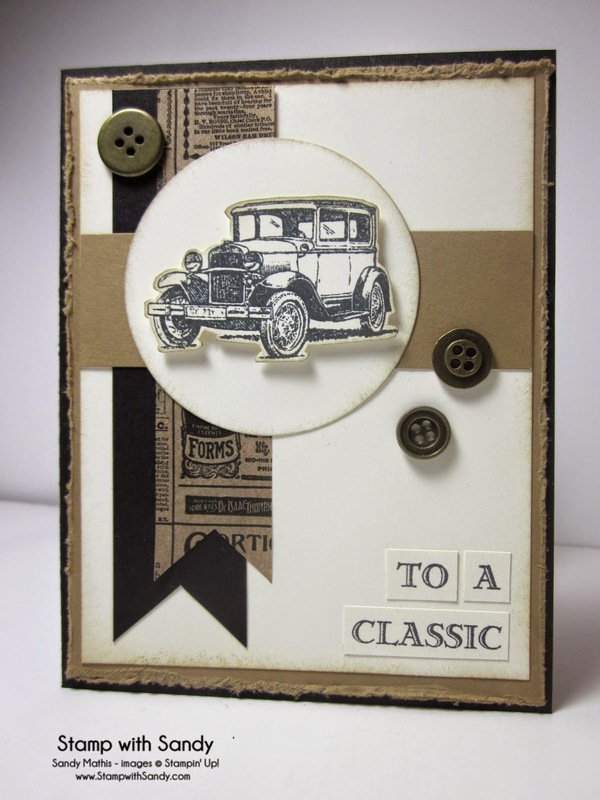 I found the next one at Stamp With Sandy I love her use of vintage images, the car is a true classic. 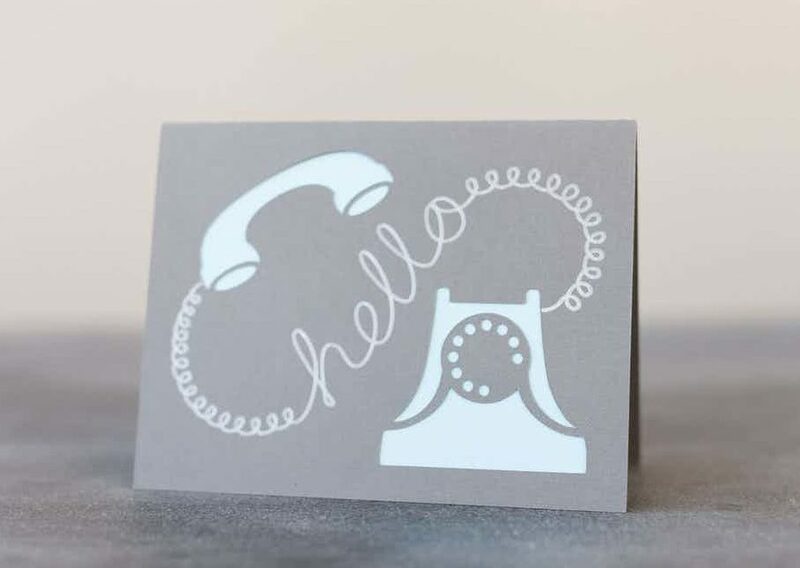 This one was made with my Cricut machine, I love old vintage telephones. But now the fun begins, I can’t wait to see what you made, thanks for partying – link is at the very end of the post. 1. Content: Submit up to three posts that involve your vintage image cards or crafts, DIYs etc. No shops or direct advertising, please. 2. Reminder: No recipe links, please. 3. Link-back: I’d love it if you would include a text link back to the party in your linked post. 4. Visitation: Please visit other blog posts — after all that’s what a link-up is all about. When pinning please go to the source of the photo to pin it so the originator of the post gets the credit. 5. Hostess Love: Consider following your party hostesses’ blog and/or one or more forms of social media. I love connecting with each of my guests and will be highlighting features on all of my social media. 6. Spread the Word: Consider mentioning A Wandaful Thing Vintage Link Party on your social media to help spread the word and make this party a great experience for everyone. 7. Giveaway: Keep in mind that from time to time I will be giving away what I make from my vintage challenge. 8. Permission: By linking up to A Wandaful thing you assert that the photographs are yours (or you have permission to use them) and you give your hostess permission to feature them on social media or a blog party with a link back to your blog. You will likewise assert that the content of the post is your own. Monthly challenges can be A Wandaful Thing! 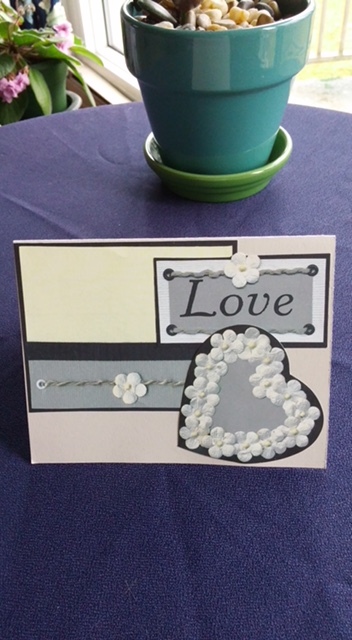 This entry was posted in challenge, Decorate, DIY, Make, vintage and tagged card, challenge, craft, creativity, DIY, image, Linkup, monthly, repurpose, repurposed, thrifted, vintage. Bookmark the permalink. Like the use of buttons on Sandy’s card and the phone is sweet!